A news report on a television programme called, ”Beyond the Headlines,” hosted by Clint Watson, has been brought to my attention. 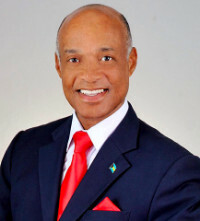 In my private Law practice, sometime towards the end of 2016, I was instructed by a relative of the Late Derrick Rolle to make inquiries on her behalf as to the existence or whereabouts of his alleged inheritance money to a leading Commercial Bank in The Bahamas. My Associate at that time, Attorney Paul Moss, also wrote some letters. I was advised by that institution that no such money existed and I so advised his sister. I am consequently entirely unaware of the existence of whereabouts of any such alleged money. Pursuant to that relative’s instructions, I also applied to the Supreme Court Probate Division on behalf of the late Mr. Rolle’s estate. Up to the time I left Colonels Chambers in March, 2017, to offer as a candidate in the 2017 General Elections, the said Probate Division had not concluded its process. I am also advised that neither this scurrilous lie, nor any other matter involving me is “before the AG” or his Office. I have written a formal Complaint to the Police, requesting a full investigation to determine the identity of the person involved in this criminal libel and fully intend to request that charges of Criminal Libel be brought against him or her, once that person is identified.